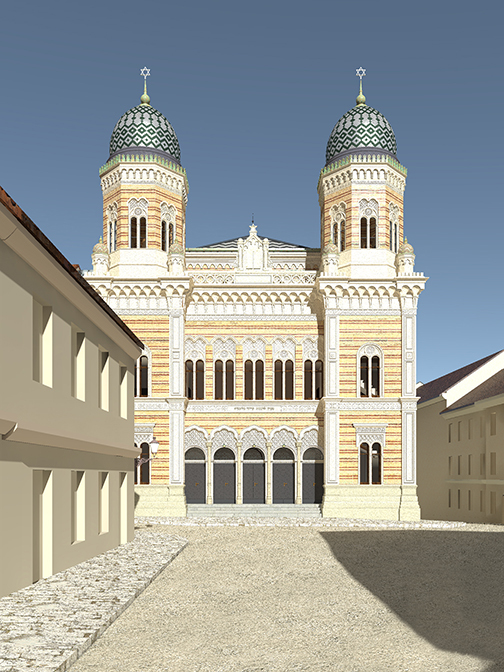 The reformed synagogue in Bratislava was built between 1893 and 1895 according to the plans of the Austrian architect Dionys Milch, who also planned two other synagogues in Slovakia. 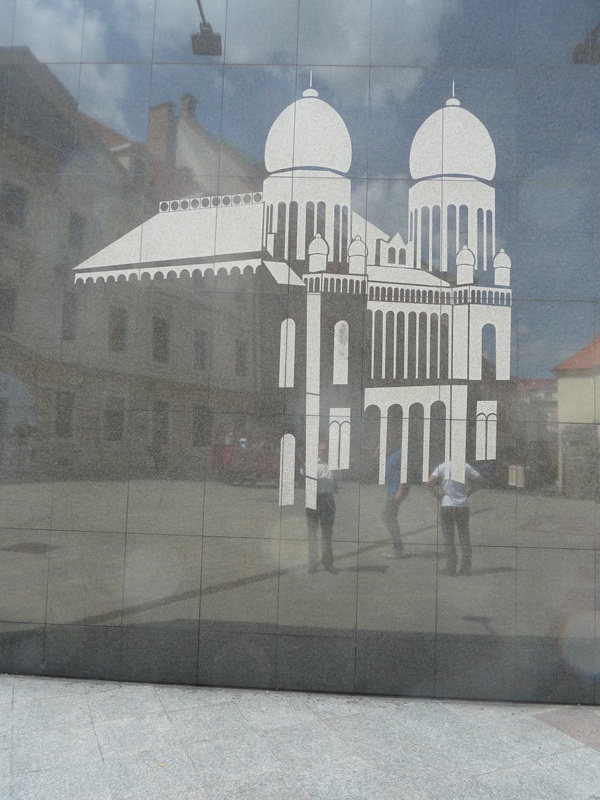 It was situated next to the St. Martin´s Cathedral in the center of Bratislava (Pressburg) and was regarded as a symbol of tolerance and multiculturalism. 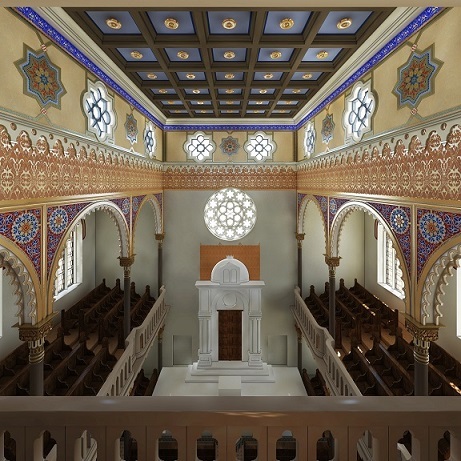 The Reformed Jewish community never have returned after the Second World War. After the war the synagogue was used as a warehouse. 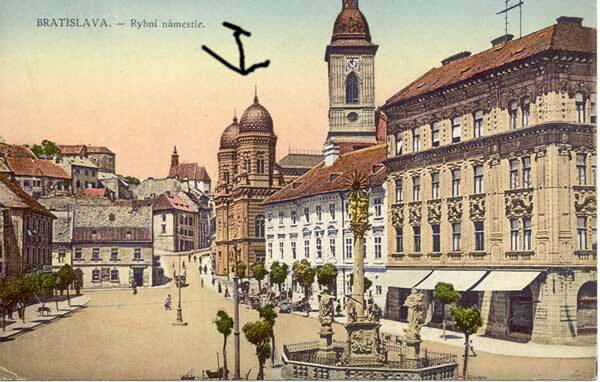 Jews who returned to Bratislava founded an Orthodox Jewish community and used two other synagogues that were in Bratislava at the time. In the 1960s the Czechoslovak public television used the reformed synagogue as a studio. 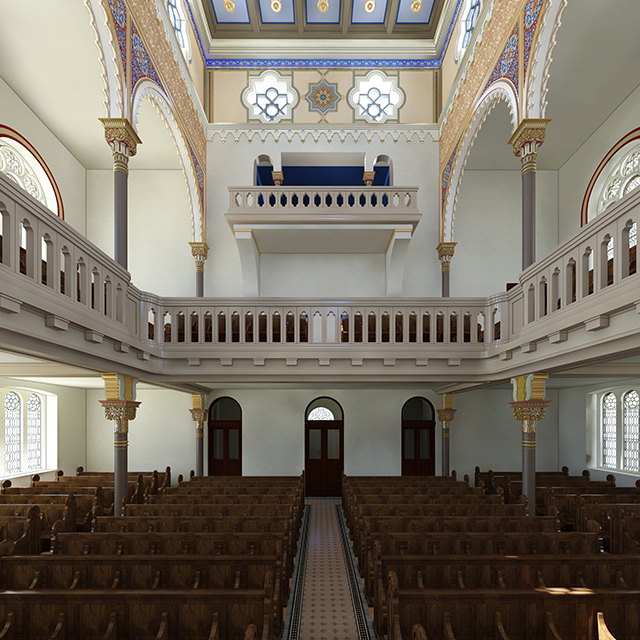 Eugen Barkany, an architect who worked on the preservation of the Jewish heritage in Slovakia, wanted to establish a museum of Jewish culture in the synagogue. He collected objects from synagogues and prayer houses from different places of Slovakia and stored it in a room in the synagogue. 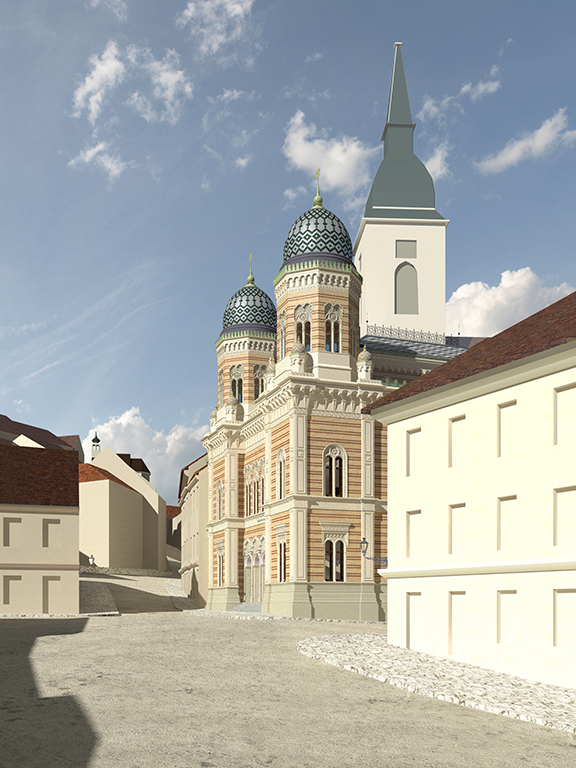 The construction of a new city quarter called Petržalka on the right bank of the Danube at the end of the 1960s determined the future of the synagogue and the entire city quarter on the southern slope of the castle. In Petrzalka should arise housing for 100.000 people. The construction of a new bridge connecting the center of Bratislava with Petržalka began in 1967. Many historic buildings had to give way to the bridge dimensioned to access such a large settlement. In 1969 the neolog synagogue was demolished too, despite of protests. It is questionable whether its demolition was neccessary. 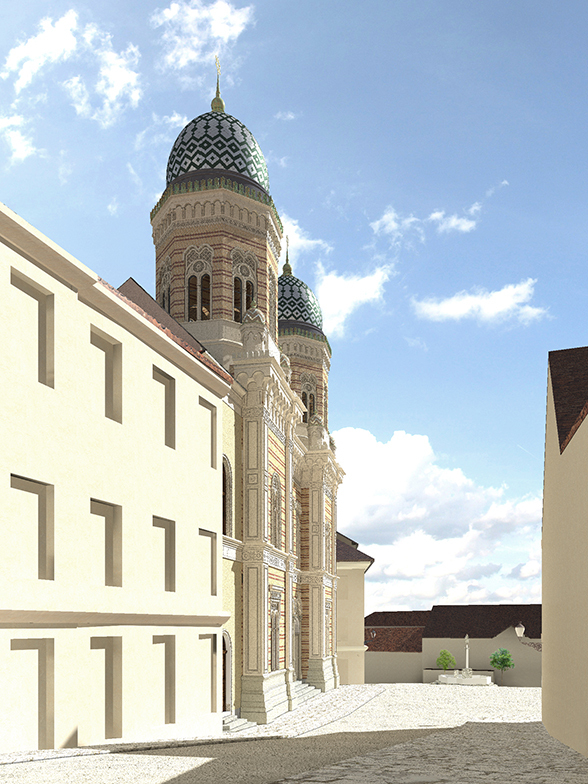 The synagogeue and other buildings could have been saved by choosing an alternative location for the new bridge. 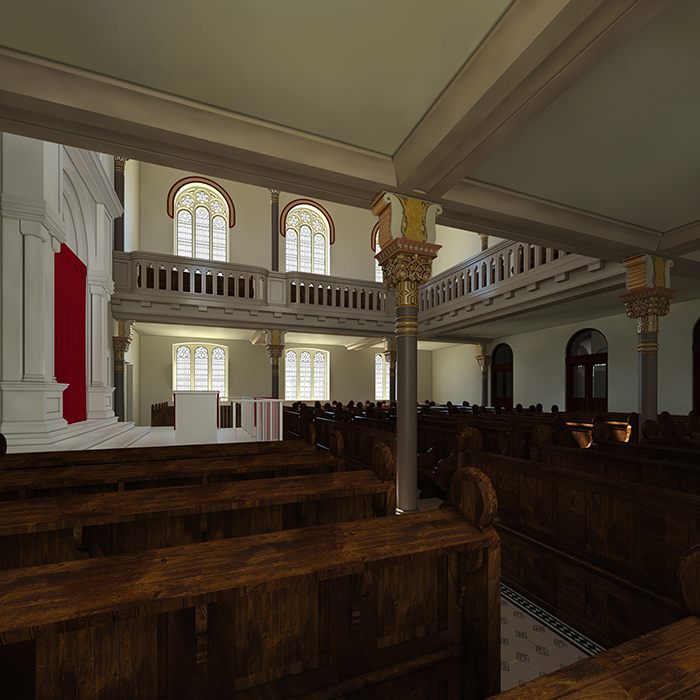 This thesis deals with the virtual reconstruction of this demolished synagogue. 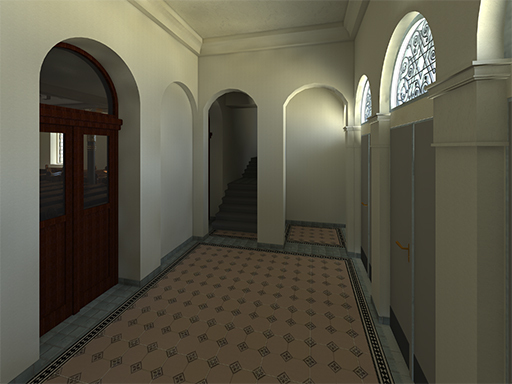 The goal of a virtual reconstruction is to enable an experience of the destroyed architecture. Architectural plans by the architect Dionys Milch, the pre-demolition building survey and preserved photographs made the reconstruction possible. There are numerous photographs of the exterior and the demolition, but there are no interior pictures. 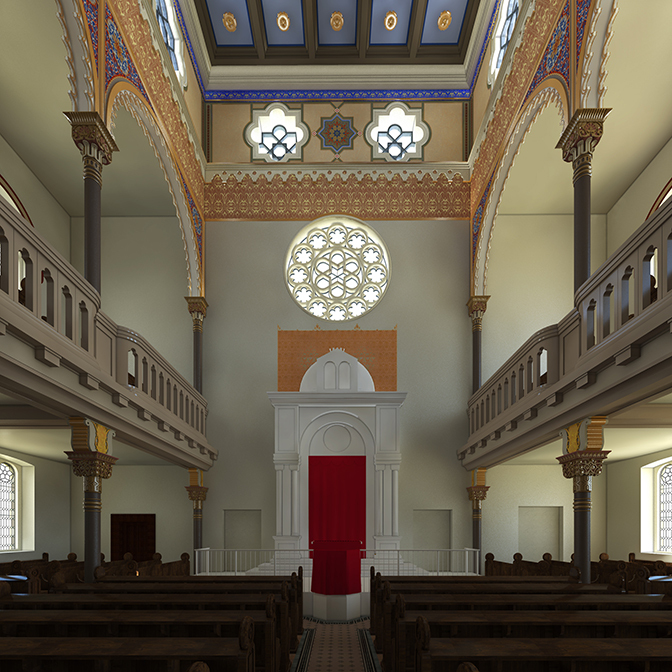 Therefore the interior has been reconstructed according to other synagogues that probably influenced the architect. Bob Martens, Clara ‭‬ Sell, Herbert Peter, Julia Palyoova. Ausgeführt zum Zwecke der Erlangung des akademischen Grades einer Diplom-Ingenieurin an der TU Wien von Julia Palýoová.